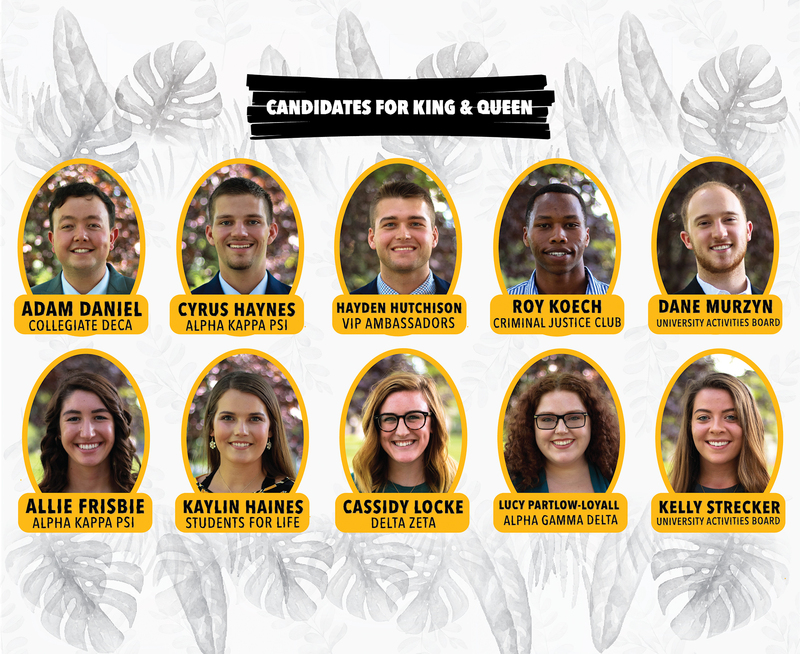 HAYS, Kan. – Royalty finalists for Homecoming 2018 at Fort Hays State University have been announced by the Homecoming Committee. “This year there were 29 Homecoming Royalty nominees representing 20 different student organizations and groups,” said Brittney Squire, from FHSU’s Center for Student Involvement. “Each nominee’s application was reviewed and scored by members of the Homecoming Coordinating Committee in order to select the top five finalists for king and queen,” she said. • Anna-Lura Frisbie, McDonald senior, representing Alpha Kappa Psi. She is an accounting major. • Kaylin Haines, Topeka senior, representing Students for Life. She is a management major. • Cassidy Locke, Wichita senior, representing Delta Zeta.  She is an English education major. • Lucille Partlow-Loyall, Colorado Springs, Colo., senior, representing Alpha Gamma Delta. She is a social work major. • Kelly Strecker, Highlands Ranch, Colo., senior, representing the University Activities Board. She is a physics major. • Adam Daniel, Arriba, Colo., senior, representing Collegiate DECA. He is a tourism and hospitality management major. • Cyrus Haynes, Hays senior, representing Alpha Kappa Psi. He is a tourism and hospitality management major. • Hayden Hutchison, Hays senior, representing the VIP Ambassadors. He is a management major. • Roy Koech, Russell junior, representing the Criminal Justice Club. He is a criminal justice major. • Dane Murzyn, Brighton, Colo., junior, representing University Activities Board. He is an organizational leadership major. A new event at this year’s Homecoming schedule is the Homecoming Week Kickoff from 11 a.m. to 1 p.m. Monday, Sept. 24, sponsored by the Office of the President, the Center for Student Involvement and the University Activities Board. FHSU President Tisa Mason will deliver a welcome, finalists for Homecoming royalty will be introduced and guitarist Sam Burchfield will provide the music. The student body vote for king and queen will be from 9 a.m. Wednesday, Sept. 26, until noon Friday, Sept. 28 on TigerLink. Students can also vote in the Memorial Union from 11 a.m. to 1 p.m. on Wednesday, Sept. 26, and Thursday, Sept. 27. The royalty finalists will lead the Victor E. March to the Tiger Pep Rally Thursday night. The Victor E. March starts at 7 p.m. at Tiger Village and Stadium Place Apartments and will weave through campus before arriving at Gross Memorial Coliseum for the start of the pep rally at 7:30. The finalists will also participate in the Homecoming Parade through downtown Hays on Saturday, Sept. 29. The parade starts at 1 p.m. The king and queen will be announced at halftime of the Homecoming football game against Central Oklahoma University on Saturday, Sept. 29. The football game kicks off at 7 p.m..